In October of 1921, a little-known forester and regional planner from Connecticut put forth a revolutionary idea. “What is suggested is a ‘long trail’ over the full length of the Appalachian skyline,” Benton MacKaye wrote in an article published in the Journal of the American Institute of Architects. Before proposing his bold blueprints for the nation’s first end-to-end Appalachian footpath, MacKaye had encountered what many would call a rough patch in his life. “To say that MacKaye’s life at this point was not going well would be to engage in careless understatement,” wrote Bill Bryson in A Walk in the Woods, his New York Times bestselling novel about his own experiences along the Appalachian Trail (recently adapted to screen by Robert Redford). “In the previous decade he had been let go from jobs at Harvard and the National Forest Service, and eventually, for want of a better place to stick him, given a desk at the U.S. Labor Department with the vague assignment to come up with ideas to improve efficiency and morale. There he dutifully produced ambitious, unworkable proposals that were read with amused tolerance and promptly binned. 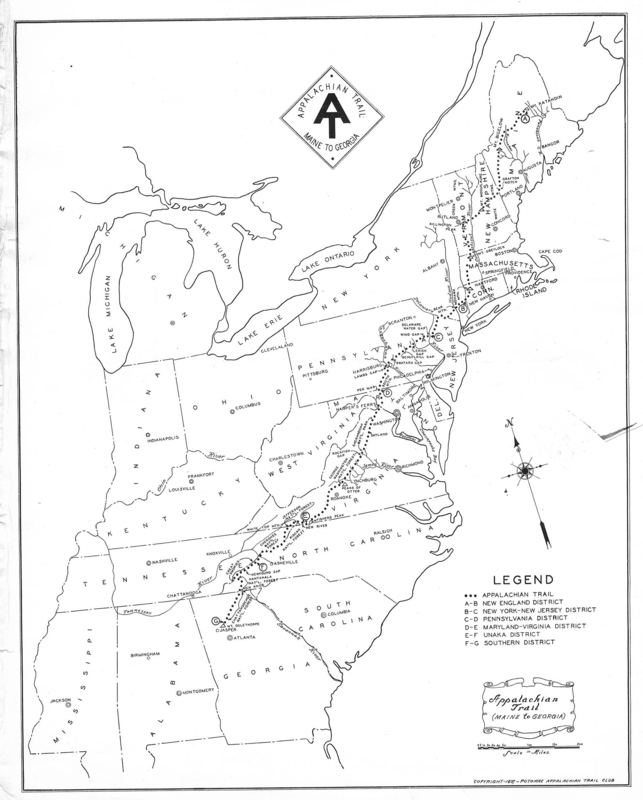 It was in the midst of failure and despair that MacKaye revealed his notion for an uninterrupted footpath stretching from north Georgia to Maine to a friend named Charles Harris Whitaker, who also happened to be the editor of the Journal of the American Institute of Architects. 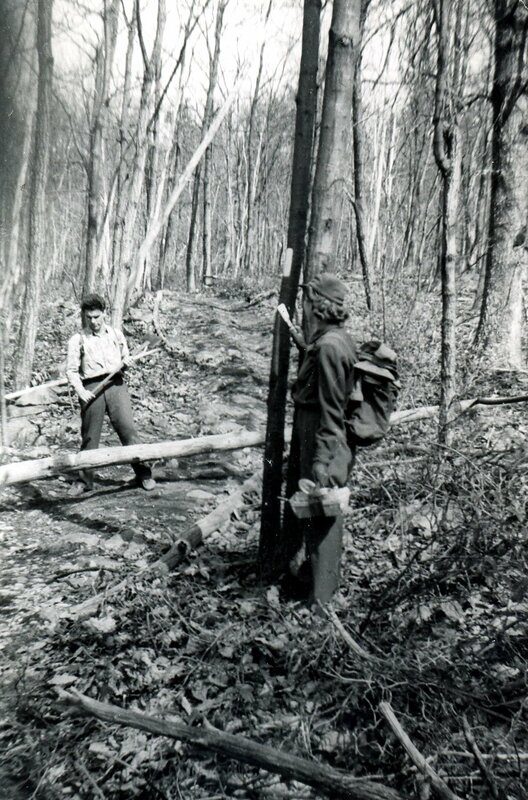 The Appalachian Trail of today stretches some 2,189 contiguous miles from the forested summit of Georgia’s Springer Mountain to the knife-edge peak of Katahdin in Maine, but MacKaye’s initial vision laid out a different path. He thought the trail should begin on New Hampshire’s Mount Washington, the highest point in the northern Appalachians, and culminate atop North Carolina’s Mount Mitchell, the highest point east of the Mississippi River. 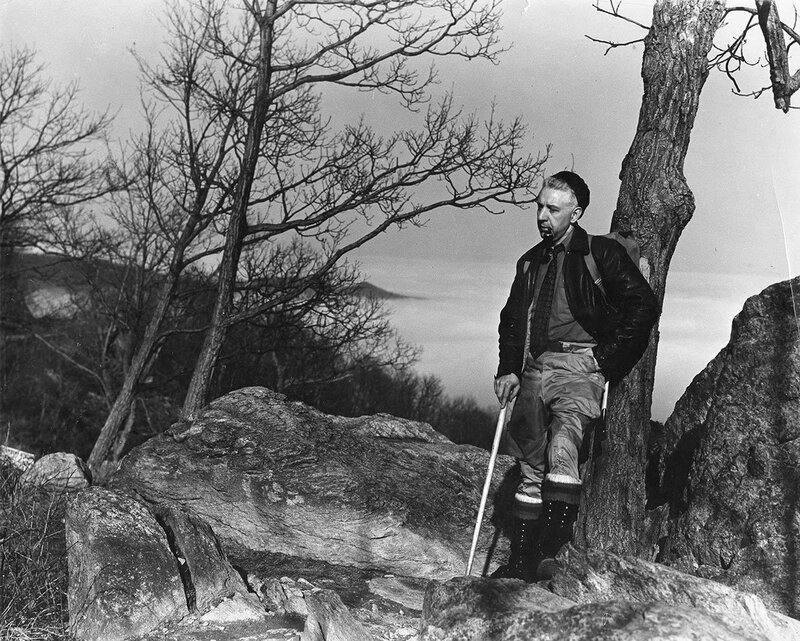 If it was Benton MacKaye’s foresight that brought the possibility of an Appalachian Trail into the forefront of the American consciousness, it was the logistical prowess of a maritime lawyer and Washington D.C. native named Myron Avery that brought it to life. An avid hiker himself, Avery took over essential tasks like mapping trail routes and organizing the volunteer support needed to carve a path through some 2,000 miles of rugged, undeveloped wild lands. But he brought a hard-nosed approach to the task of making the Appalachian Trail a reality. 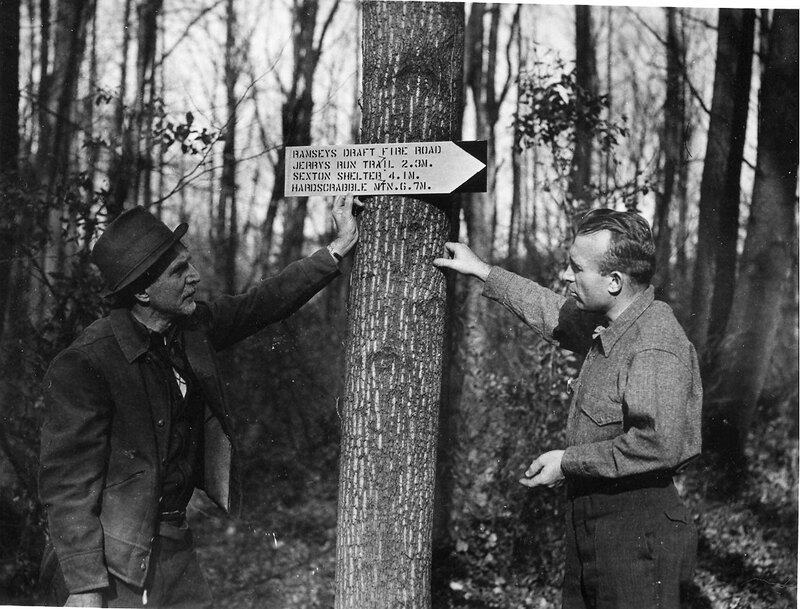 MacKaye opposed the now famous scenic byway because it interrupted the path he hoped the Appalachian Trail would follow through Virginia’s Shenandoah Valley. He also thought it would compromise the natural integrity of the land. But Avery took a more practical approach to the government’s construction of Skyline Drive. He decided to work with the feds and reroute the trail, accommodating their new road. 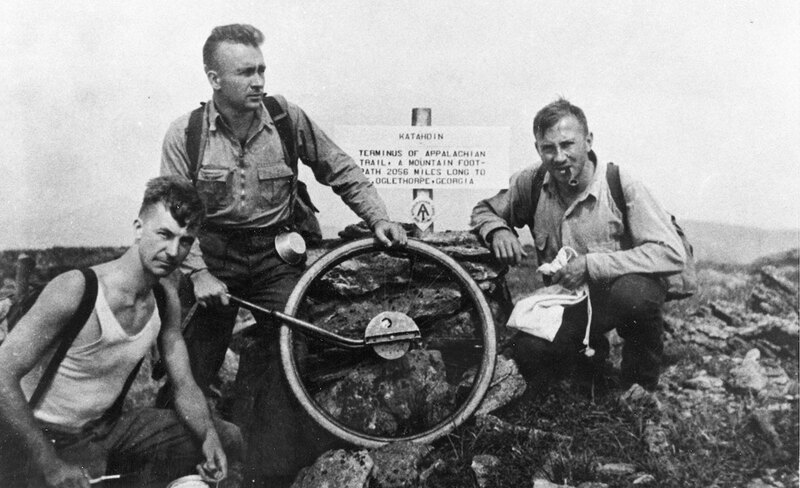 It was at this point that MacKaye quietly faded from the scene, and by the time it was completed in 1937, the two fathers of the Appalachian Trail were no longer on speaking terms. 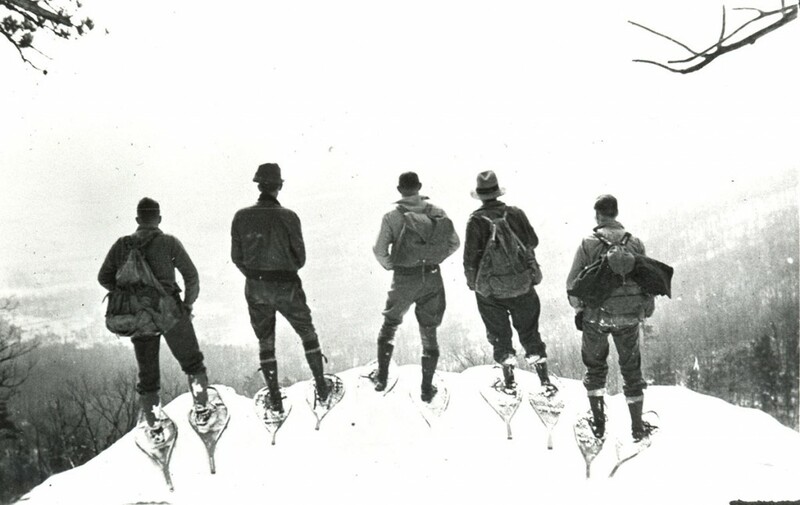 Avery’s vision for what the Appalachian Trail would eventually become was more in line with the world famous foot path that exists today. He believed the A.T. would revolve around hiking and that it would be sustained by hike-centric groups like the Appalachian Trail Conservancy. MacKaye’s vision of self-sustaining mountain top ‘community camps’ where nerve-shattered urbanites could seek a healing wilderness respite never actually materialized, but the regional ribbon he hoped would hold it all together endured as one of the world’s most iconic symbols of adventure and perseverance.